CrowdLead is a volunteer, crowdsourced, lead data collection initiative, hosted by SmartOakland, to capture informal data about the presence of lead where people live, work, go to school, go to church and do business. Lead is a neurotoxin that was used as an ingredient in house paint for buildings built before 1978. Because it was found to be poison, it was outlawed in 1978 and people had to stop using it. The problem is it was already used in a LOT of housing units. If a home owner or landlord has not renovated a location since 1978 there's a good chance lead paint is peeling and chipping off, crumbling into bits on the floor, and turning into dust in the air we breath. 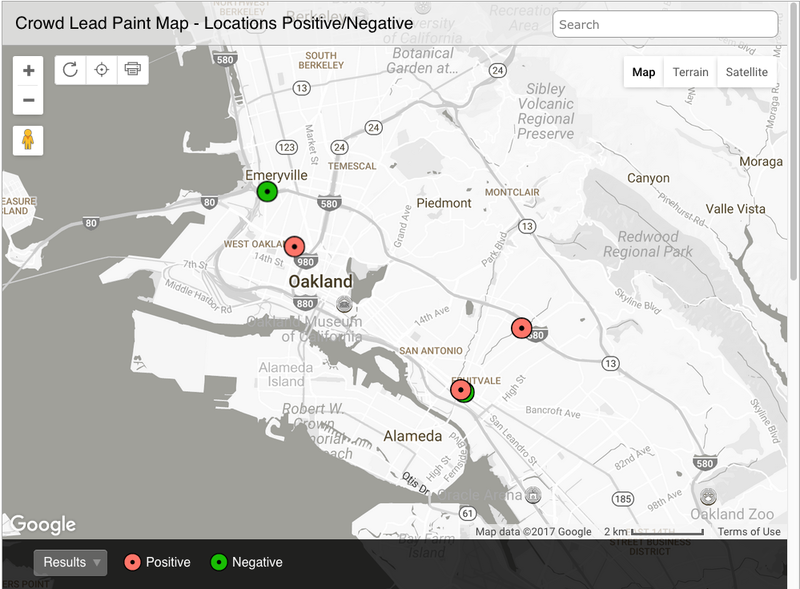 SmartOakland is a non-profit formed to address the current needs of 145 micro-communities in Oakland, CA because problems like lead poisoning cannot wait for government intervention and overburdened social services to do the work to protect this many people. We have felt and are answering the Call to Action to figure out how to fix ourselves, as constituents, business owners, non-profits, sustainability managers, educators, public health experts, technologists, and public servants. Our first step is to quickly find the lead poisoning in our housing units and immediately get children tested for lead poisoning. Once we have those two actions and data points we can push for accountable parties to abate the lead and drive toward policy creation which will require all landlords to show proof of an EPA lead inspection that proves a unit is "Lead Free" before ever renting the unit. This is where lead poisoning will end, when people are not allowed to rent poison rooms to tenants.